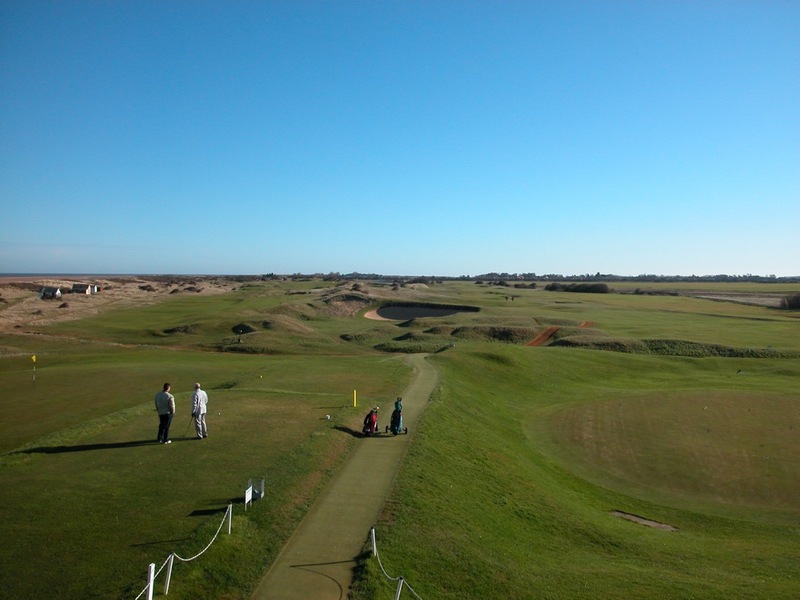 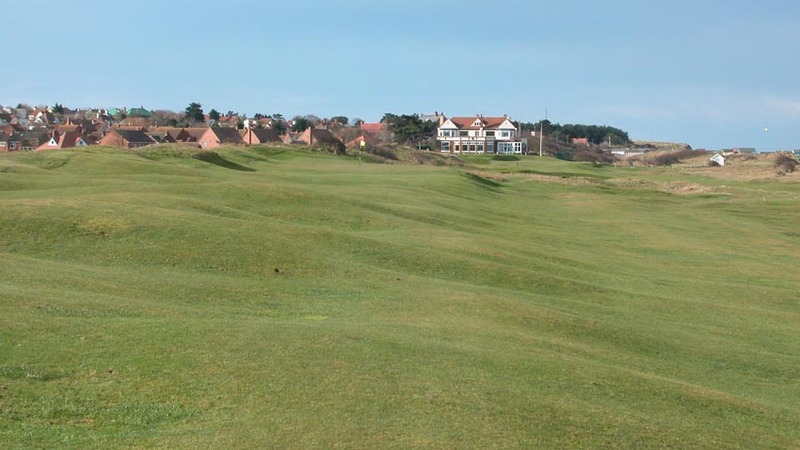 One of the most welcoming clubs we have ever experienced is Hunstanton Golf Club in Hunstanton England, just down the road from Royal West Norfolk. 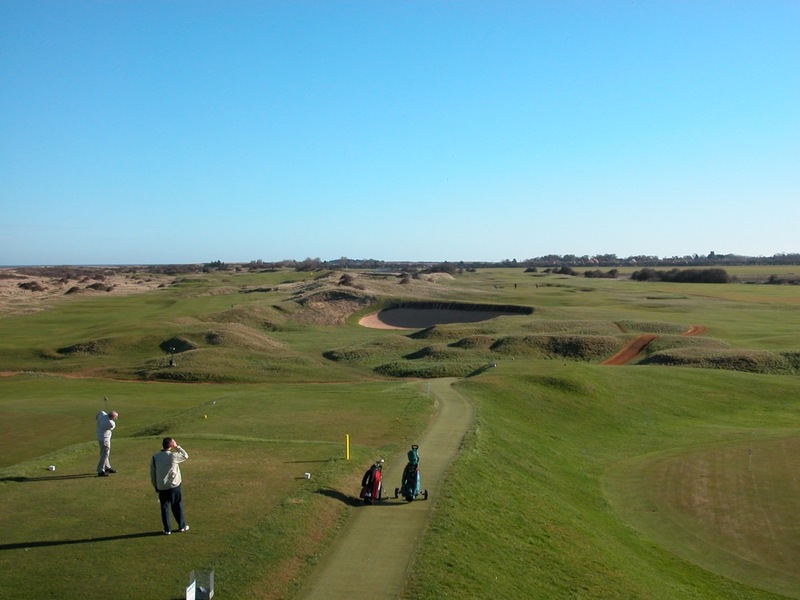 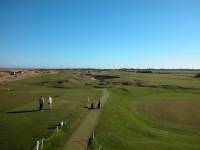 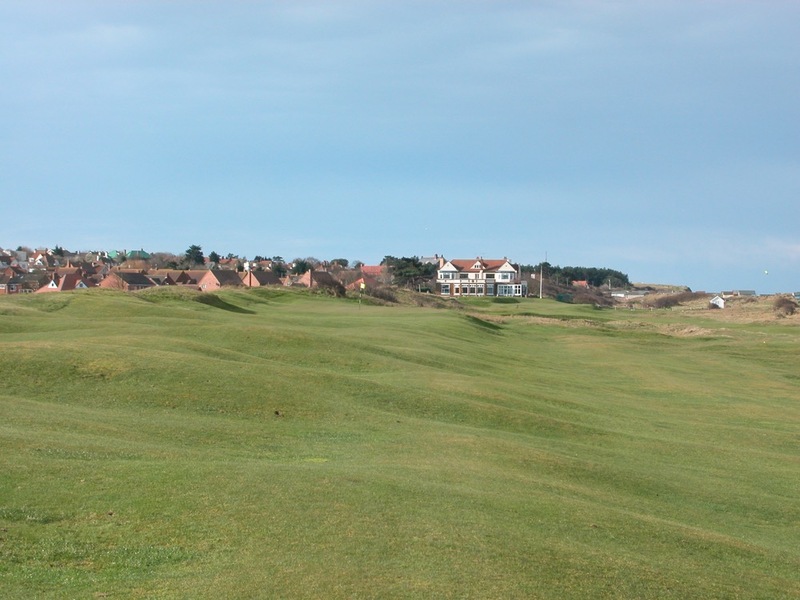 Hunstanton Golf Club is a place where visitors are treated like overseas life members for the day! 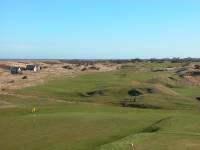 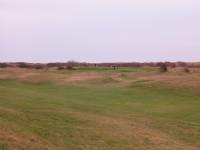 And what a day it is, as Hunstanton Golf Club is another superb links, perhaps even more difficult then its neighbor in Brancaster. 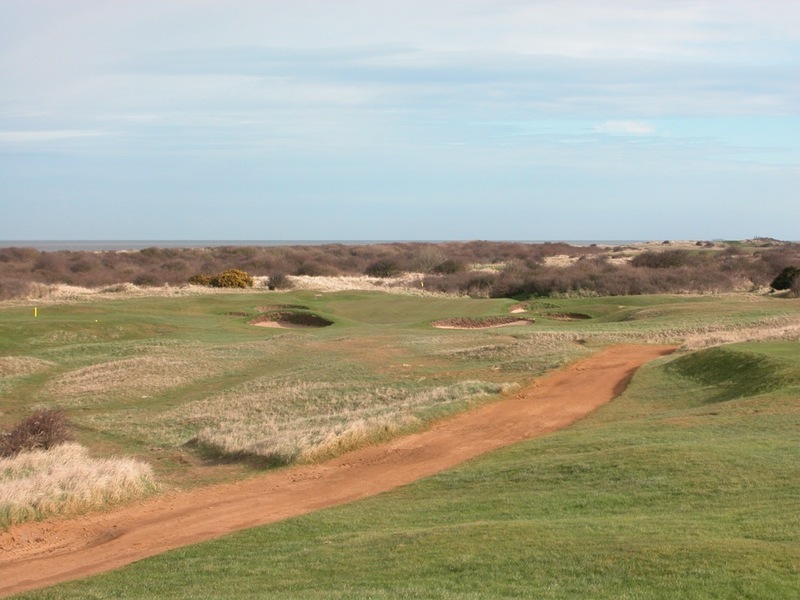 A traditional out-and-back design, Hunstanton Golf Club is certainly Open-caliber, in fact reminding us of Royal Troon in Scotland. 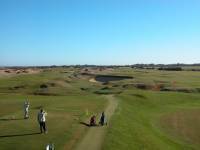 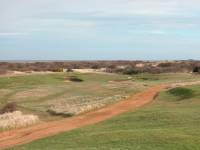 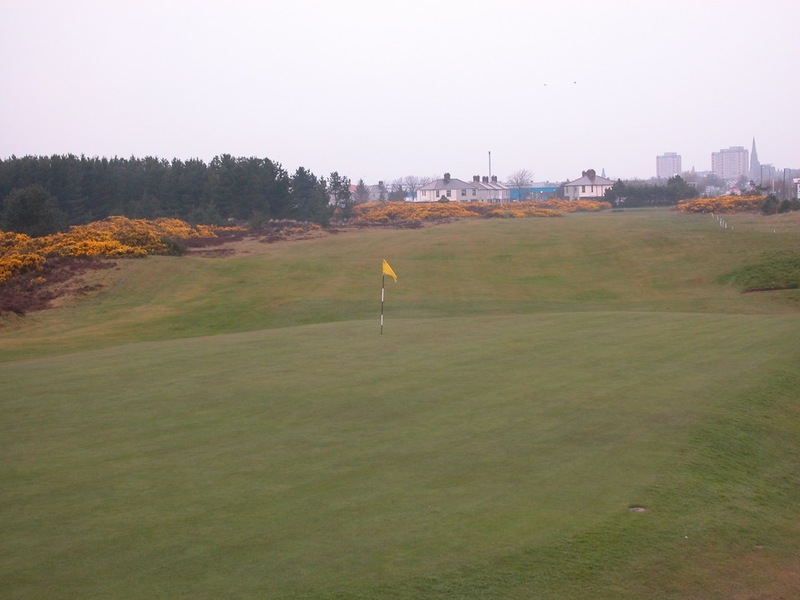 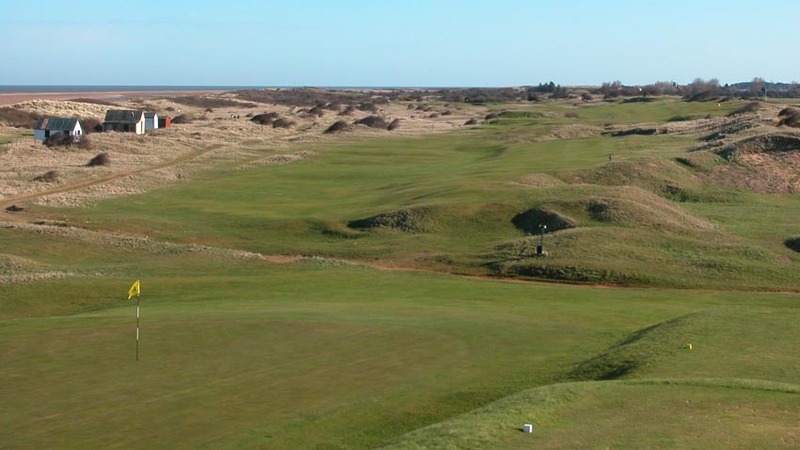 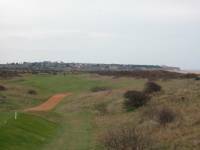 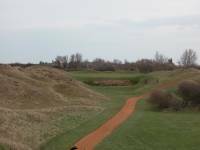 If they ever did hold the Open, Hunstanton Golf Club would likely be known as having one of the most demanding back nines on the rotation, especially when played into the prevailing breeze. 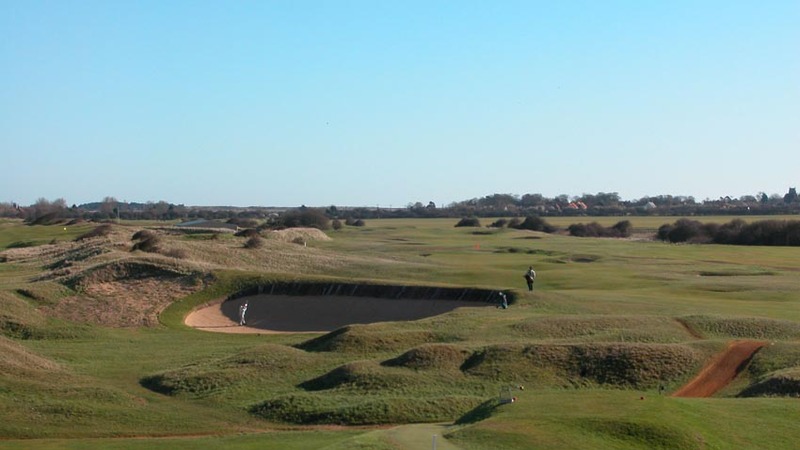 The Hunstanton Golf Club links has more than its share of intimidation characteristics, such as the yawning, cavern-esque bunker staring at you in front of the first tee, and another deep pit in front of the par-3 6th. 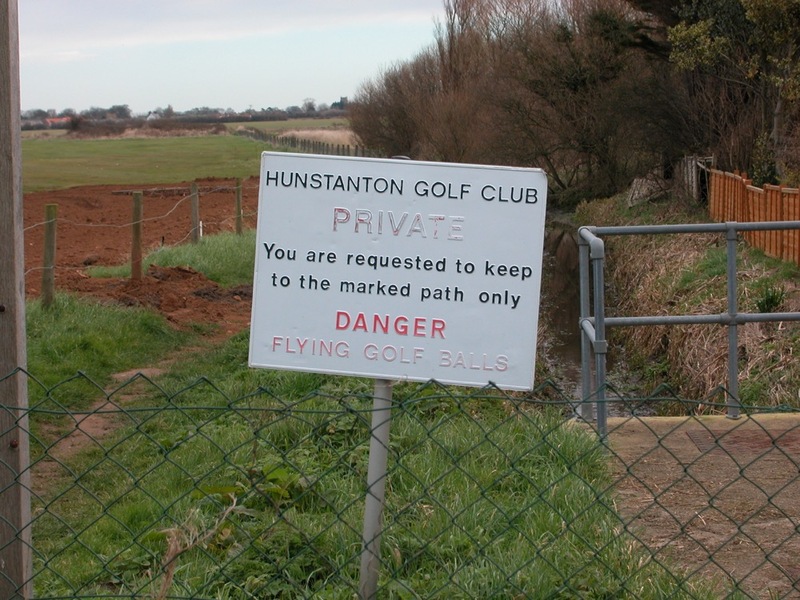 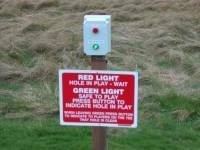 Hunstanton Golf Club also has a couple of entertaining blind holes, with a traffic-light system in operation on the par-3 14th, very unique. 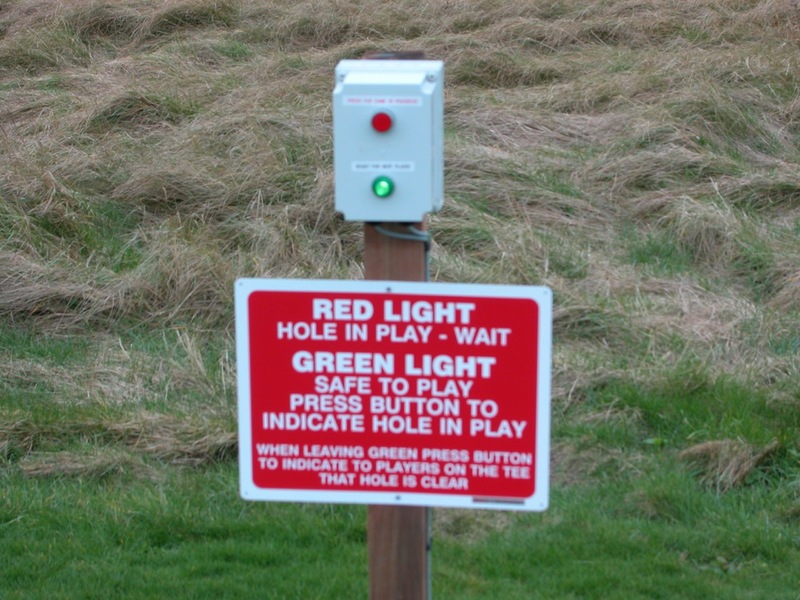 Just don’t run the red light, when it turns green it is safe to play! 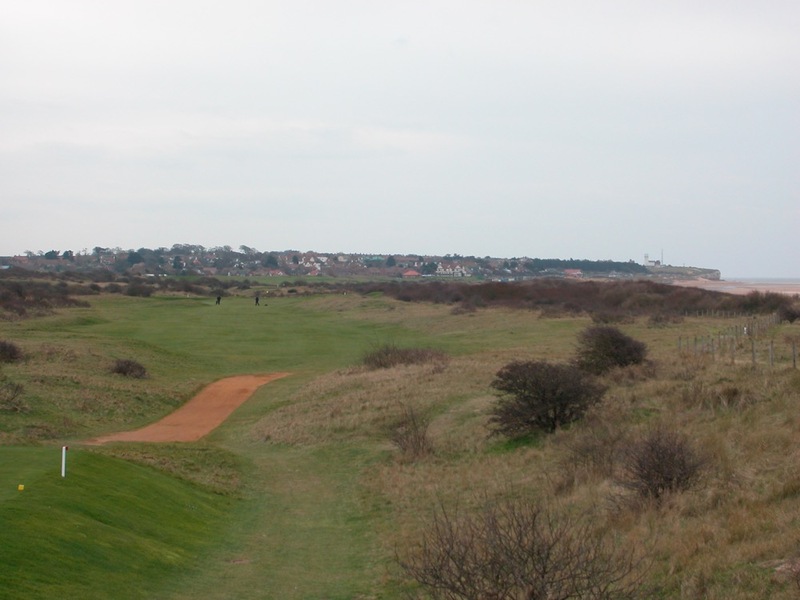 17 and 18 at Hunstanton Golf Club make for a back-breaking finish, both long and demanding par 4’s into the breeze. 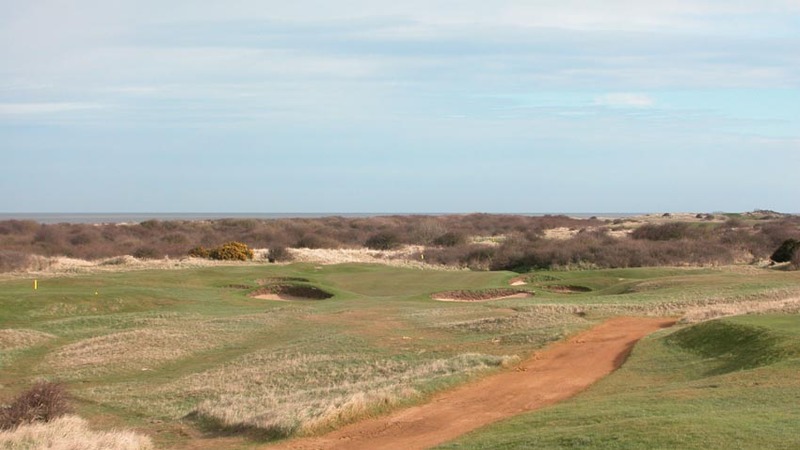 The green at 17 at Hunstanton Golf Club is one of our favorites, bunkerless, narrow, and perched on a tiny shelf, with anything right kicked hard away from it. 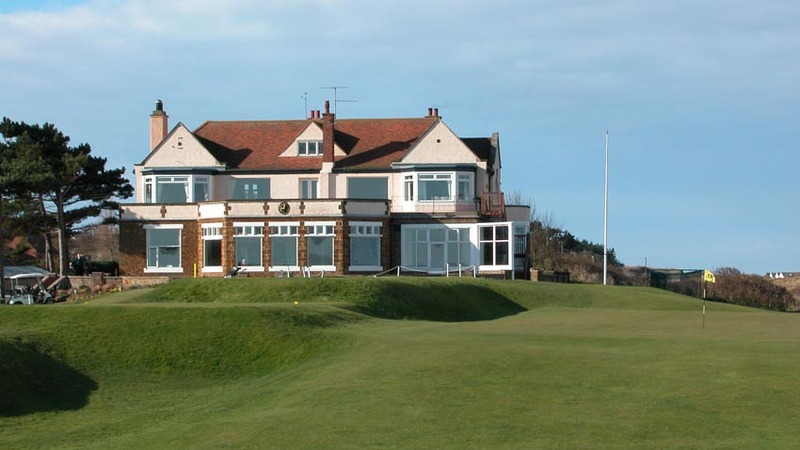 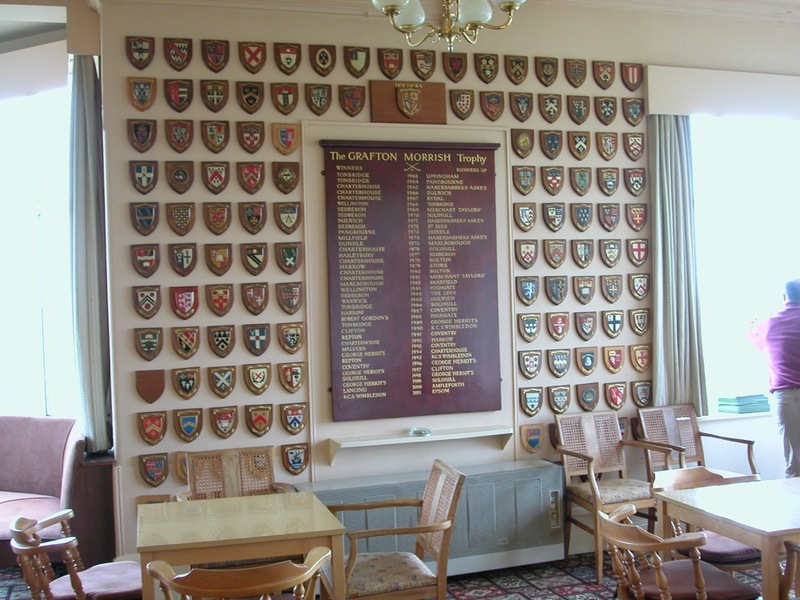 The Hunstanton Golf Club clubhouse is another classic refuge from the elements, with the club steward making for tremendous conversation at the atmospheric, roaring-fire lit bar. 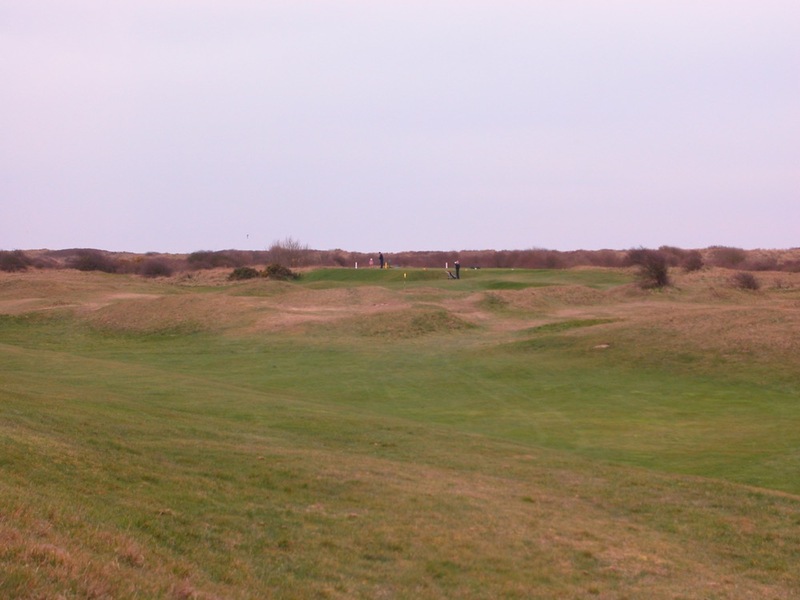 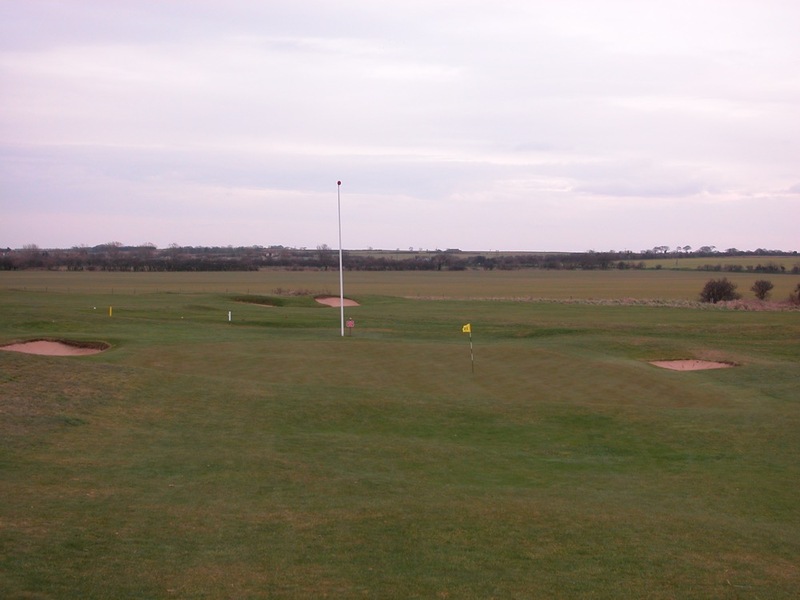 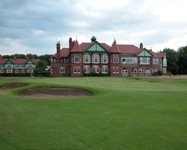 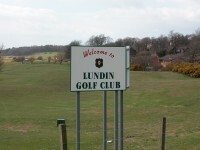 A visit to Hunstanton Golf Club is a must in this atmospheric part of England!